Fiber, Cable or DSL – Which Type of High-Speed Internet Is Best for Your Business? Enterprise-grade internet connections have been enabling companies to operate online at exceptionally fast speeds for several years now. Until relatively recently, unless your business regularly needed to send large amounts of data across the world, connecting to the internet at extreme speeds was more of a luxury than a necessity. However, with the rise of cloud server solutions and the mobile workforce over the past two to three years, reliable, high-speed internet has emerged as a must. Today's connected businesses rely on fiber-optic lines, cable communication lines or telephone lines as the infrastructure that keeps them sending and receiving data packets day and night. Each of these three connection types has its attributes and considerations, rendering each one worthy of consideration for companies. You want to be sure you are choosing the best high-speed connection for the unique needs of your business, of course. Businesses that require higher bandwidth, or faster speeds can't rely on cheaper, older options and still be efficient. Let’s take a look at the various connection type possibilities and consider some of the key factors that can help you to close in on the best solution for you. Cable internet access relies on the infrastructure of cable television, sharing the cables for data transfer. Distance is no object for cable delivery, but the bandwidth is often shared among scores of businesses and private homes. Sharing bandwidth means that there's plenty of potential for significant slow-downs during heavy use times. DSL uses your local telephone lines to transmit data at a higher frequency band than those used for phone calls. In this case, your office's distance from the central signal can indeed slow things down – if you're far enough away, you won't even be able to connect at all, which means DSL won't even be an option for you. On the other hand, when you do connect with DSL, it's always with a dedicated circuit, just like when you make a phone call from your landline. Another key advantage of DSL is its relative affordability. Fiber-to-the-Premises (FTTP) internet service involves connecting via fiber-optic lines running from a central hub to the user’s home or workplace. Fast and affordable, fiber is also particularly well defended against the potential for harm from the elements. Far more prevalent than it once was, fiber service is still the newest kid on the block out of these three options, so it may not be available in every location, and in many cases, opting for fiber requires investing in infrastructure extensions. The single most important factor for determining whether your business will best be served by cable, DSL or fiber internet access is availability. Since not all means of data transmission are available in all areas, your first step should be to research your local setup and its impact on what your options are. It's worth investigating. Who knows – there may be only one viable possibility, in which case the decision will be out of your hands, and you’ll be able to get back to everything else you're way too busy with. However, in the event that you're in a position to choose between all three line types, here are some of the key parameters that should inform your selection. How fast do you really need your Internet to be? How much bandwidth do you anticipate requiring? How many devices are going to need to transfer data of what types and in what volume? For some types of businesses, a minute or two here or there without the internet may prove incidental; while for others, maintaining constancy of readiness is their calling card. How consistent does your speed and bandwidth need to be? To what extent would periodic delays of service impact your ongoing operations? The odds are extremely high that you are not planning to build an office-wide computer network from scratch, so it's important to make sure that the hardware and equipment that you already have is compatible with your new high-speed Internet service. Consider your wiring, your routers and the workstation computers themselves. You may want to upgrade, but it's probably wisest to take the time to figure out how to do so in stages, economically and efficiently. The bottom line often overrides all other considerations. Making sure you can afford your high-speed internet solution is critical, as connectivity has become an expected component of every business. 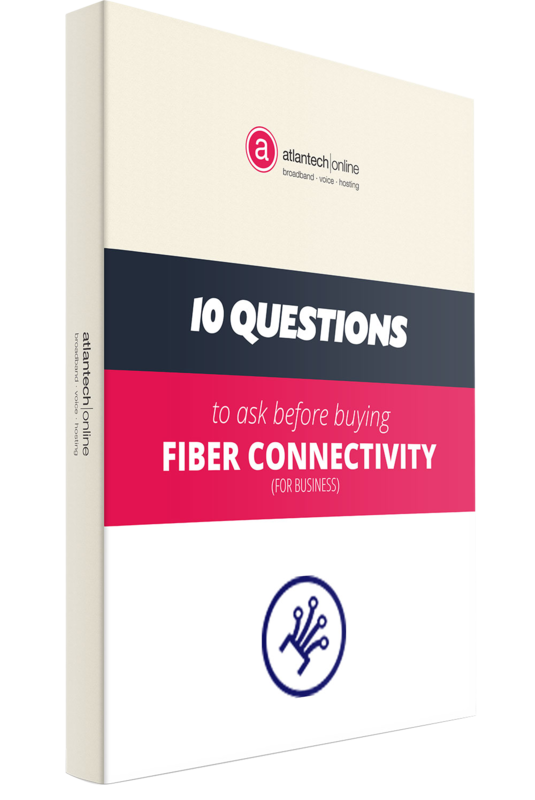 Even once you've wrapped your head around all of the factors that can influence the way your company needs access to high-speed internet, deciding on which of the many plans out there is best for you can be overwhelming. The decision can be even more confusing because the terms, plans and billing models for your various options can change rapidly. These changes may work to your advantage, with greater speed for lower costs, but the vigilance required to continue getting the best deal can drain your attention from other important aspects of your business. An expert consultant who monitors the changing landscape of high-speed Internet infrastructure may be your best bet. He or she will be able to assess your speed and bandwidth needs – and recommend the connectivity method that will serve you best, identifying a solution geared specifically to what you and your company are aiming to accomplish. Get all the information you need to make the smartest decision for your business internet connectivity needs.